You may have heard the recent announcement of the next phase of the Government’s Community Housing Fund and of Cornwall Council’s Revolving Loan Fund for Community Land Trusts. Launched earlier this month the newly relaunched Community Housing Fund sees a number of changes. £163 million is available up to 2021. The Fund states that its aim is to support an increase in housing supply by increasing the number of additional homes delivered by the community-led housing sector; to provide housing that is affordable at local income levels and remains so in perpetuity; and to deliver a lasting legacy for the community-led housing sector in the form of an effective and financially self-sustaining body of expertise within the house building industry across the country. 2) (later, but specific date not yet indicated) to support the actual capital costs of building community-led affordable homes. Applications (for phase one) can be made now by community organisations, housing associations or local authorities. Only local authorities can apply for capital costs during phase 1, but they can also apply on behalf of a community based project. Applicants can apply straight away and the process will remain open to receive new applicants until funding is fully committed or until 31st December 2019, whichever occurs first. Community group capacity-building, including seed corn funding to get started. Cornwall Council has relaunched its helpful Revolving Loan Fund. The £4 million fund is specifically for Community Land Trusts, to help them build new affordable housing for local people. The £4 million fund is open for bids from CLTs for loans of up to £1.5 million per scheme. This can be through their own schemes or working in partnership with other providers. The money will be recycled as loans are repaid, and the fund is expected to run for 7 years. Loans can support the development of all types of affordable housing including shared ownership, shared equity, affordable rent, intermediate rent and intermediate sale. Cross subsidy schemes incorporating an element of open market housing may also be considered. Loans for the development and construction of new affordable housing. Eligible costs can include purchase of land, buildings, construction and conversion of a building. Loans of between £75,000 and £1.5 million per scheme for terms of up to 18 months. Loans are to be repaid within 12 months of completion of the scheme. Between 2009 and 2014 the first CLT Loan Fund lent out £3.14m which enabled 35 new affordable homes to be built. 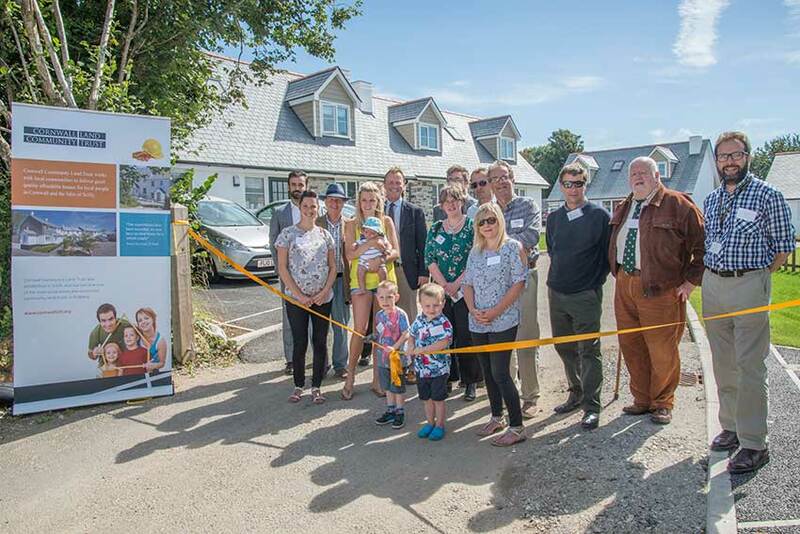 In 2014, Land’s End Peninsula CLT used a £879,000 loan from the CLT Revolving Loan Fund to build 8 much-needed affordable homes at Croft Mear in Pendeen. Three homes were sold to local people at discounted rates, and the remaining 5 are providing affordable rented homes in the village.